Java Evolution - How Java Has advanced in the past 5 years? Technology is constantly evolving and Java is no different. 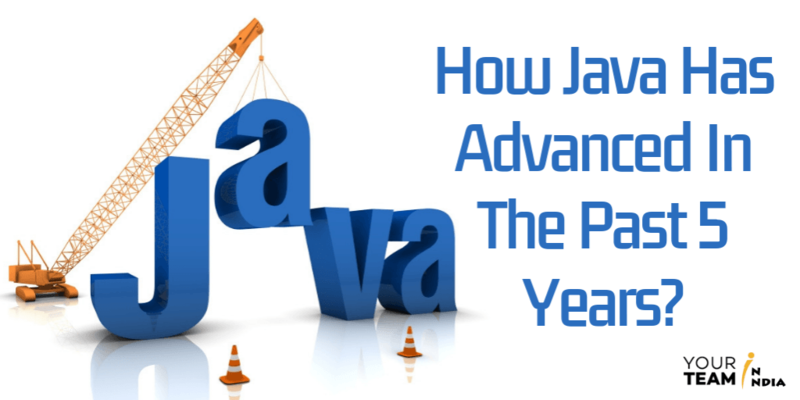 Initially designed by James Gosling at Sun Microsystems in 1995, Java has transformed a lot. Though it was not the first ever programming language but has become one of the most popular in the world. Moreover, Java is safe enough to traverse networks and quite powerful to replace native executable code. Java has gained popularity because of plenty of reasons. It has become a common choice for many developers as it offers security, speed, and ease of usage via object-orientation. Another important factor is to offer a premier platform for web-based applications and services. In early days, there was a lot of enthusiasm that can be seen from the Java development team as it had the potential for building embedded applications for ‘applets’. But applets and other client-side GUI app implemented in the language were limited. Oracle Corporation took over Java in 2010, making plenty of upgrades. And with new version release every year, they enhanced this programming language. It convinced the Java developers about its cross-platform approach. And the basic concept was, ‘write once, run everywhere’. This specifically means that one code will run on multiple platforms without recompiling. Java 5: This one was the go-to language, especially for the enterprise level system development. This was a great way to parameterize functions and classes with types. The Enterprise Edition: In order to solidify the position in the enterprise market, Sun/Oracle launched Java EE giving it some APIs that were made to standardize everything from dependency injection to information access to the messaging system to RPC. Spring: JEE was challenging to configure and use so Spring Framework came into existence. Spring did not take much time in overtaking the popularity & till today gives a delightful experience when beginning a new project. Graal: Oracle has a habit of investing in Java’s ecosystem and it came up with ‘Graal’. It is a polyglot VM that comes with a broad spectrum of benefits. You can easily run every major language, specifically AOT compilation. This is an amazing way to enter into the top position for cloud infrastructure technology. The recent reports depict that 97% of the enterprise desktops & 3 billion mobile phones run on Java. And this itself is enough to prove that Java has made a huge influence on everyone. Languages won’t change so Java will continue to lead. It will be quite interesting to see how other languages will be using Java Virtual Machine. Developers have a huge burden to create apps for different platforms like iOS, Mac, Android & Windows. PWA are apps having ‘desktop like features’ and offline capability. The current Java instances are quite heavy than lightweight platforms. However, Jakarta EE software will overcome the biggest drawback by focusing on cloud-native development. This tried and testing programming language will continue to remain on top for software development. And in the upcoming years, it will grow & become more robust.